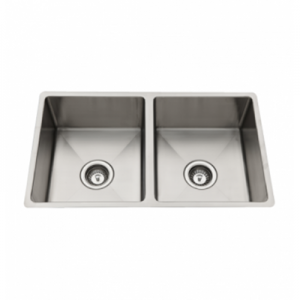 Shop Fiberpol for the Glacier PL8102 Double Bowl Undermount Stainless Steel Kitchen Sink! This undermount kitchen sink is ideal for any kitchen. Made with stainless steel, this sink will never go out of style. You’ll love the classic, satin finish on this beautiful sink. Keep it classy in your kitchen in Barbados with this stainless steel double sink from Fiberpol. This sink was manufactured by Glacier, which is one of the best and most well-respected manufacturers in the industry. It was also made with 304 Grade stainless steel and comes equipped with a satin finish. Its double bowl design also makes it easy to do just about anything, whether you’re cleaning up after a meal or making it!